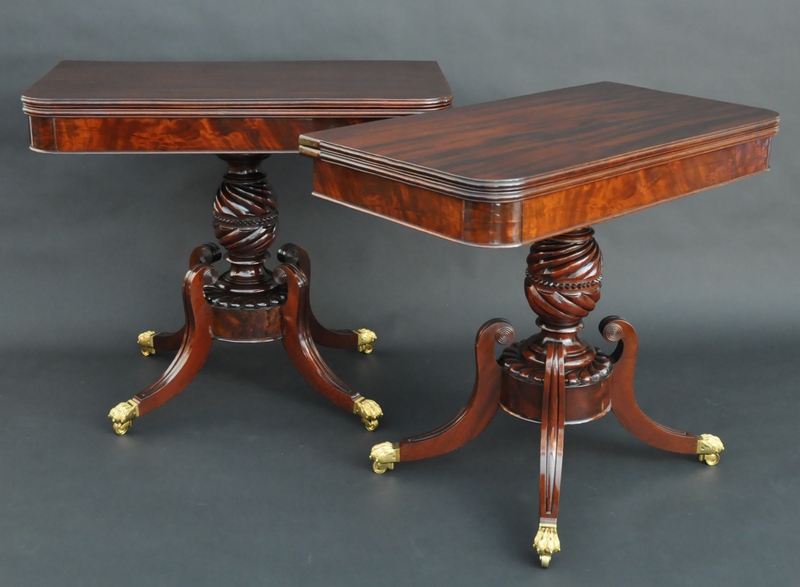 This handsome pair of Classical games tables exhibits the quality of materials and construction found on the best Boston examples. While the conforming aprons have beautiful veneers, the table tops are highly figured solid mahogany boards. 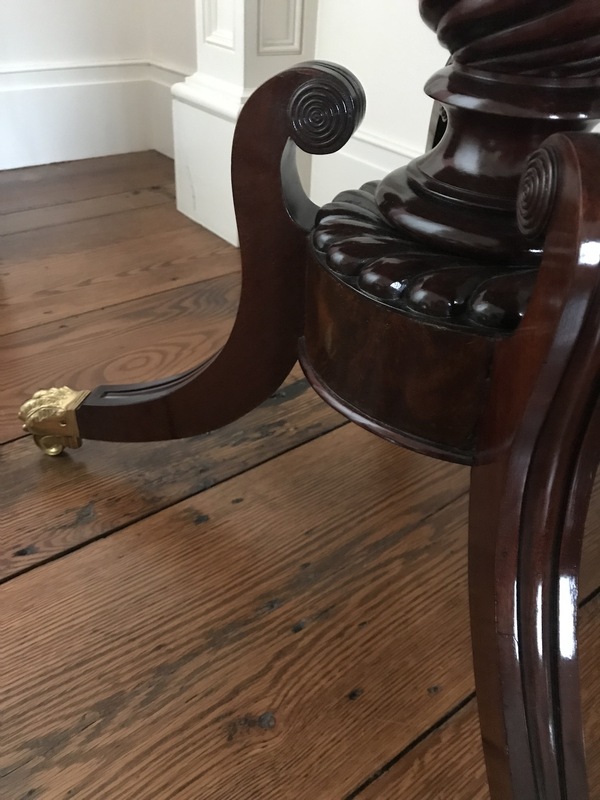 Being a true pair, the carving on the pedestals spirals in contrasting directions. 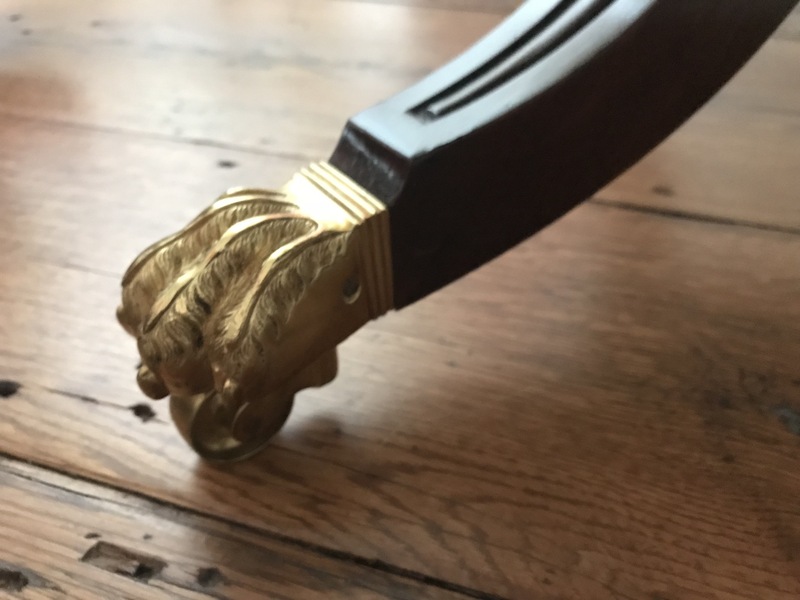 The tables are supported by molded sabre legs ending in cast brass toe caps and casters. 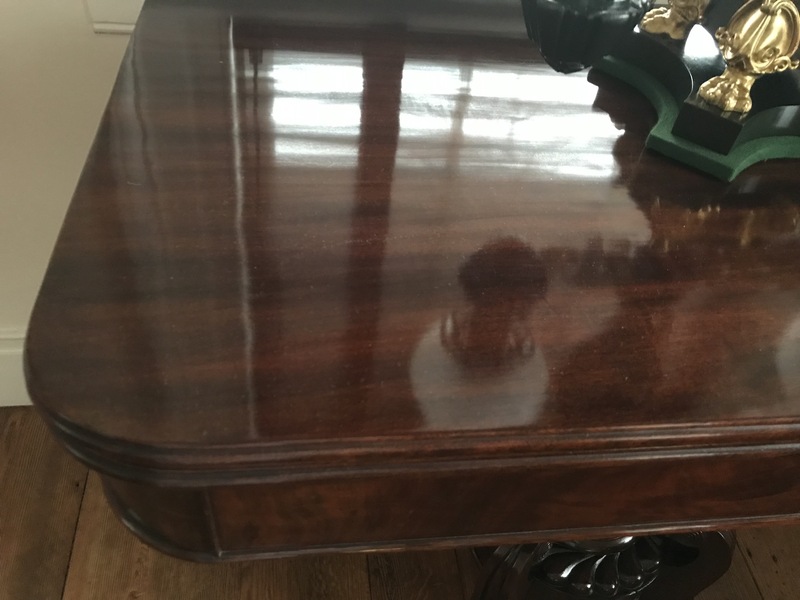 The original finish has been polished to a luster as was intended for customers during the classical period.